Our posts are all ready for shipment. 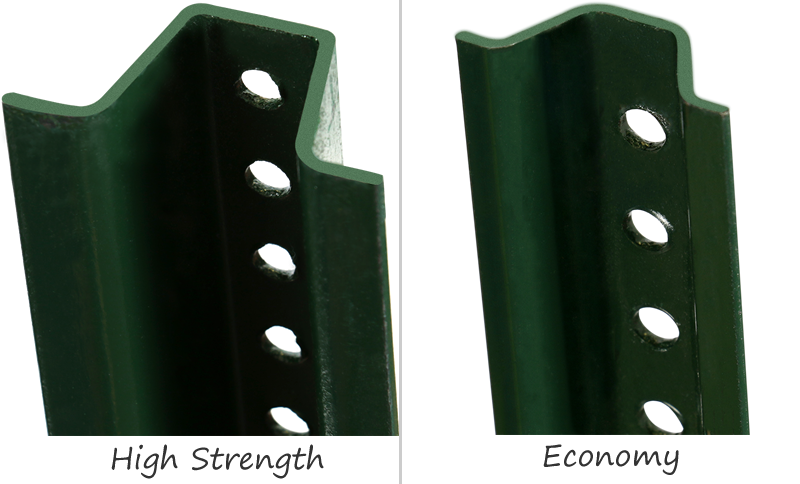 Find below a comparison between our High Strength, Economy and Galvanized posts. Be sure to check out our sign installation tips before you get started. • The High Strength U-Channel post is a favorite for town municipalities and other government bodies. The heavier construction withstands extreme conditions and the Baked Enamel finish is heated on making the posts highly durable. No worries of rust! • The Economy U-Channel post is the slim down version of the High Strength. Good for parking lots, parks or even private residences. Even though they're our economy option, these posts will last you for years! 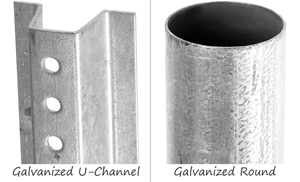 • The Galvanized posts are our premium post option. Offered in both U-Channel and Round these posts are tough. The galvanized coating protects any corrosive substances from attacking the underlying steel. All U-Channel sign posts have 3/8" diameter, pre-drilled holes that are 1" on center - enabling you to easily align and mount your signs. • Best selling 8' posts are low priced and also qualify for free shipping. • Baked-on green enamel finish give you years of rust-free and maintenance-free service. • U-Channel posts weigh 2 lbs/ft. • The prices reflect the latest hikes from the steel mills. • Medium weight 1.12 lbs/ft. posts are an affordable alternative to the heavy duty sign posts. • Posts have a baked-on enamel finish in green. The posts provide years of outdoor use. 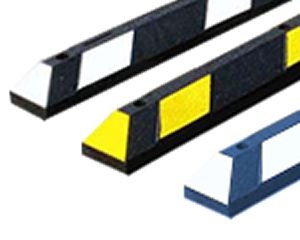 • These economical medium sign posts are ideal for property or parking signs. Or, use for temporary signs. They are generally not used by state or local governments, in that they do not support heavier signs in high winds. • Galvanized U-Channel posts are protected by a rust-proof zinc barrier. • Even when the sign posts is knicked or chipped, this barrier keeps rust away. • Posts are 2 lbs/ft. of length. • Look through our complete line of posts. • Use Plastic for wet environments. • Lightweight and easy to install. • Our premium reboundable post. • 360° flexibility. Heavy duty spring. • Bolt system allows two posts to break apart when hit. • Reduce accidents in your parking lot. • Attach sign to any of the four sides. • Great for street signs, too. Galvanized. • Save your back. Heavy duty. • Ideal for multi-post installs. • Enhance visibility with reflective signs. • Attach to any metal post. • Place your sign anywhere. • Heavy cast iron or rubber. • Brackets to attach signs to round posts or fences. • The choice of parking lot professionals. • Reflective for increased visibility. • Bends – but does not break. You save on replacement costs. • Choice of six colors. Reflective strips. • Choice of colors. Heavy base. • Able to resist impacts up to 60 MPH and bounce back.